Above is a pooch named Cooper. Cooper is a Red Dragon. In this bottom pic you can even see his tail. 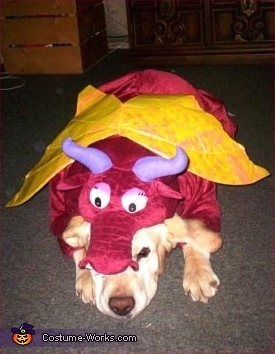 This store bought costume for pets entered our 2007 Halloween Costume Contest.